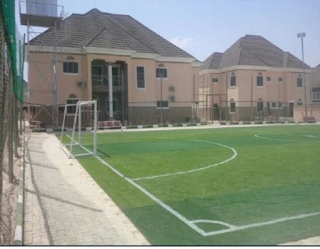 Home Sports Ahmed Musa Completes His multi million dollar house in Jos. 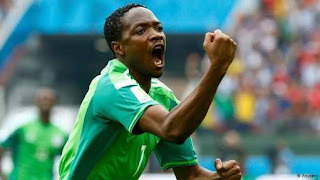 Ahmed Musa Completes His multi million dollar house in Jos. Nigeria striker Ahmed Musa grew up in Jos and has always called the city home. 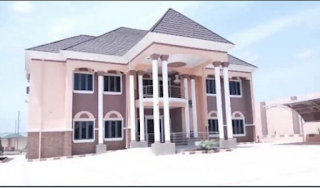 Hence, the big decision to spare no cost in creating a comfortable and secure abode for his family in the Plateau state capital. The CSKA Moscow forward is set to move into a new home in the tin city after spending millions on developing the property that sits on about 10 plots of prime real estate, Goal has been told. The duplex is tastefully furnished and it contains among many other amenities a swimming pool, a sizable football field with synthetic pitch, a mosque and a gym. In 2013, Musa’s home in Jos was attacked by armed men who came in search of his wife and son. It is thought that he’s decided to move into a bigger, more secure residence with higher security. In a video made available to Goal, the facility has high tech electric fence and silver gate that slides into place seamlessly after every entry and exit. The 23-year-old winger has scored 11 goals in 27 appearances for CSKA in the Russian Premier League this season, increasing speculation about a potential summer move to English champions Leicester City.